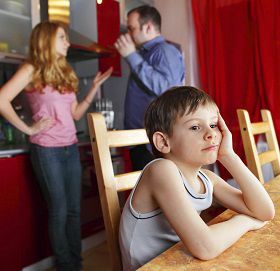 As you work on resolving issues in your divorce, an attorney can discuss the process of shared parenting with you. There are several steps that you can take to end contention in your relationship and build a strong co-parenting bond. A shared parenting plan is usually accompanied by a schedule that helps to show when each parent will have time with the child. Some parents make the mistake of trying to show that they are in control of the situation by not having a child dropped off on time or picking the child up late. However, many times this course of action simply hurts the child and creates tension in the parents' relationship with each other. If an emergency arises that makes it impossible for you to pick the child up on time or if your schedule changes, contact the other parent immediately. Give the other parent the same amount of respect that you want in return. Your ex-spouse will do things that aggravate or upset you, guaranteed. For example, your ex-spouse may not feed your kids in a healthy manner or let your children stay up late. However, it is simply impossible for you to control what goes on in the other parent's household. There are certain steps that you can take to ensure that your child has a higher likelihood of being healthy such as packing your child's lunches or paying the school directly to ensure that they are eating right. You can send the child with vitamins and ask if they are taking them. You can also schedule visits with doctors to ensure that your children are healthy. However, if you believe that you child's welfare is at issue, a court may be able to intervene.